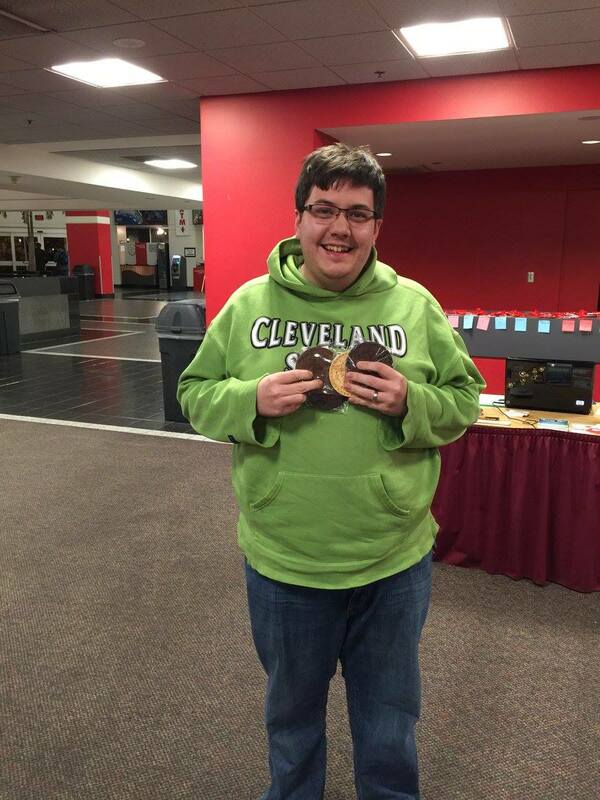 Over the past 3 years, board gaming and tabletop role playing has grown from being a hobby to being a way of life. 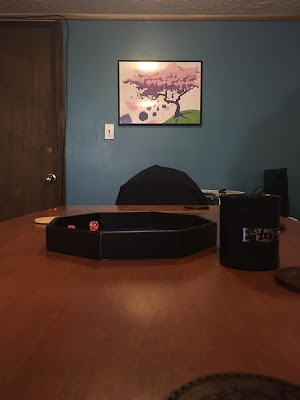 With two regular RPG groups for both me and my wife and random board game nights, it was becoming such a hassle to find a place in my house to play games. If the dining table in my kitchen wasn't covered in stuff, my kitchen in shambles from dinner, or the card table and chairs not left out from the last time, it was a hassle to put together. On top of that, the environment didn't feel conducive to playing. The kitchen or office/living room would feel cramped. It got even worse when you needed to add the card table in the kitchen! So I set out on a mission. I was going to craft my perfect game room using what I had and or could get relatively cheaply. But to create a game room you need to start with the hardest part, the room. With all the rooms on my 1st and 2nd floor being either an office or bedroom, I turned my sights to my basement. Luckily, my wife and I had done some cleaning down there semi-recently. A group of friends had wanted to start podcasting and a room in my basement was turned into a studio. But the basement wouldn't have been my first choice of rooms with it's CMU blocks, band-aid colored paint, low ceilings, and dark light fixtures. Would you want to play games down here? 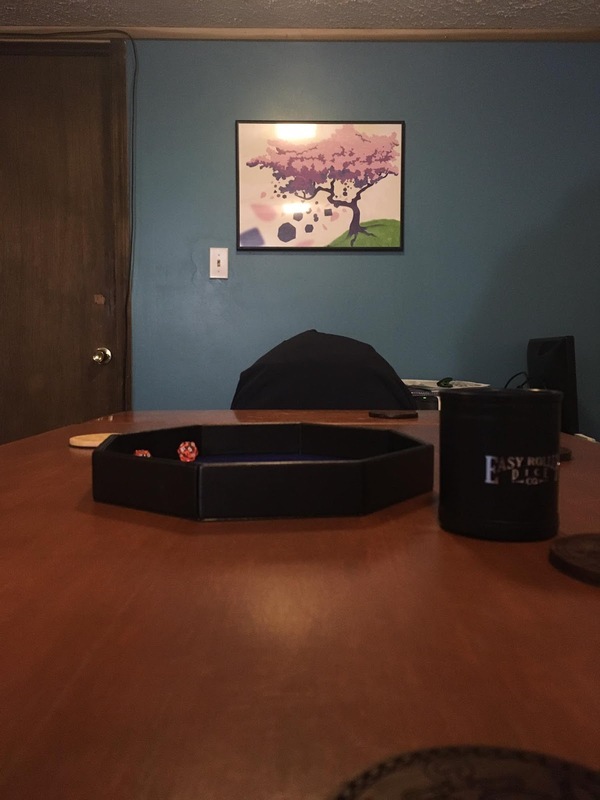 The table is, in my opinion, the most important part of any game room/setting. It will make or break your comfort and experience of playing. At first, I played around with the idea of turning the unused pool table into an imitation Geek Chic table (RIP). I was going to pull the metal feet of the pool table to lower it to a more acceptable/comfortable height and clean/refurbish the felt. But the more I played around with it, the more I decided that it wasn't what I wanted. While the lips of the those fancy gaming tables look nice and keep all your bits from flying off, I don't feel they are that comfortable for the 3 hour gaming session. I wanted a regular wooded dining table, but I didn't want to spend the money on such. But then there was a ray of hope. I was lucky to learn that with my parents moving, they had our old dining room table that they wanted to get rid of, and I swooped on it. Even though it was VERY beat up, it would be perfect for gaming. The table had two ends that would slide into the table when not being used. It could expand to give everyone space during an RPG or big game, and could collapse to play those smaller board games. The table itself was in rough shape though. A decade and a half of abuse in a 3 children house with animals, friends, and parties had not done it well. I attempted to refinish the table surface when I finally got it home, but my lack of wood working knowledge showed. I attempted to sand it down by hand with too fine of a sand paper, then applied a deck stain to it. Needless to say, the results were not great. The table looked splotchy and felt rubbery. But what ever. I needed a table to open the game room, and this would have to do. But it would have to do. So then the game room officially opened, even though work was still to be done. The larger space and table really did the trick. It felt less cramped and there was space on the table for drinks. 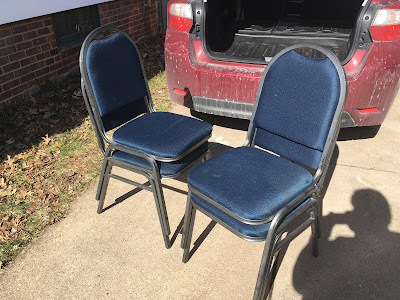 I spent time tracking down some affordable banquet style padded stacking chairs that really help make sitting in one place for 3 hours more doable. The game room was working. 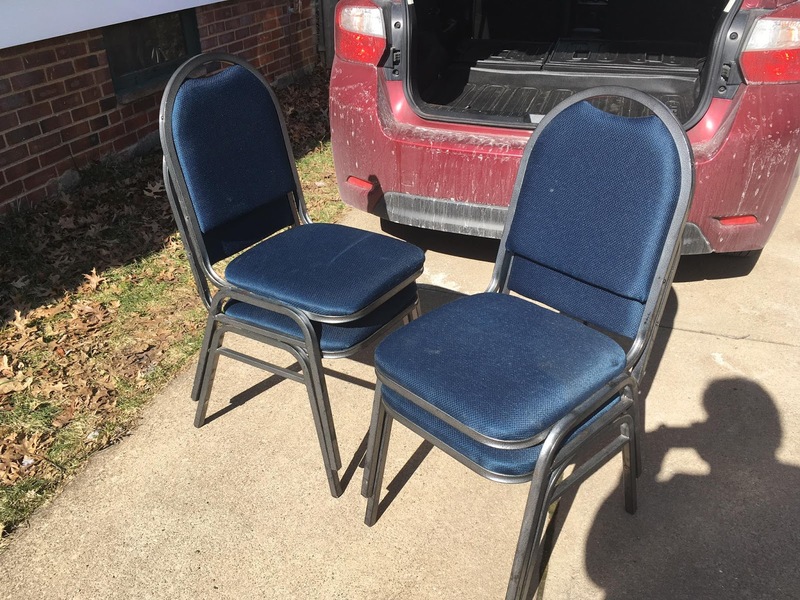 Perfect chairs for long time gaming. Over the next few months I continued to work on fitting out the room. I happened to win some beautiful RPG themed wooden drink coasters at AcadeCon 2017. I decked out the walls with some nerdy and dorky artwork. 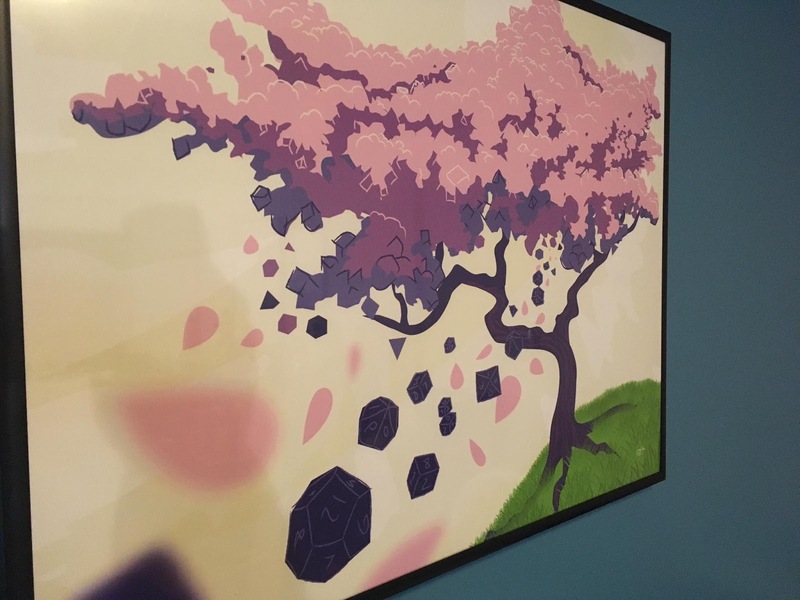 For my 26th birthday I commissioned a piece of art from a friend to fit my game room. Other than being a little cold in the winter, it felt nice to be down there. But one thing kept nagging me. One thing that kept this game room from feeling perfect. That damn table. Oh how it annoyed me. Like a scratch on your new car. Most people might not notice it, but you see it every damn time you step in or out of it. So in June of this year (2017) I decided tackle this table, correctly. I spent a good month before hand reading articles and talking to people about wood workings, learning as much as I could before I started. It seems simple. Sand, sand again, stain, sand, finish, sand, finish, sand. I borrowed an orbital sander from my grandfather, picked out some General Finishes stain and finish (Antique Cherry and a satin polyurethane), and went to town. A week later of shirtless sanding and staining, a mistake or two, and a lot of patience, I was the happiest man in the world. The table it ultra smooth with an amazing color. Your skin no longer stuck to it like the old rubbery stain that was on it before. Dice bounce of it with an incredibly satisfying knock. It is a dream. Some of the pits from bubble from the deck stain. Oh, hello there Antique Cherry. While there is still more to be done to make it the ultimate game room, it is still pretty damn great at the moment. I would like to replace the door to the studio with a more modern looking white one (the current one has a hole in it on the studio side) and hide the entry to the nearby laundry room a bit better. A mini-fridge to keep companions drinks out of my kitchen fridge would be a luxury item and a cleaned up work bench would probably help as well. I would also like to stain the gas meter box that you can see in the first few pictures to something a little nicer. But until then, it's pretty damn great.